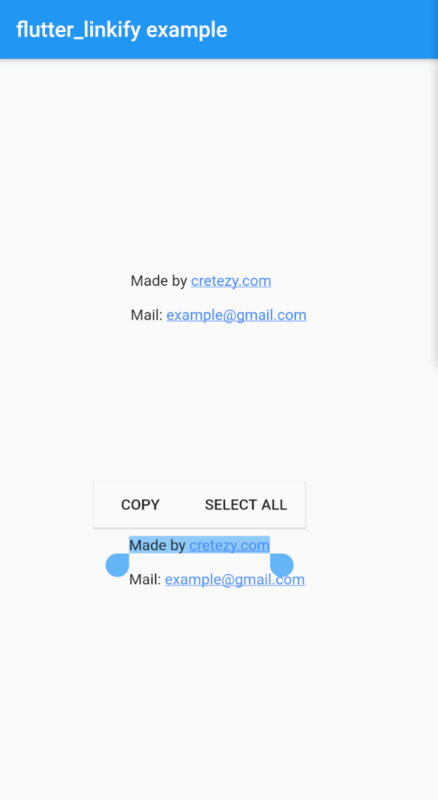 Turns text URLs and emails into clickable inline links in text for Flutter. It is highly recommend that you also add a dependency on url_launcher to open links in the browser/OS. In the onOpen callback, a LinkableElement is passed in. You can check if it is a LinkElement (URL) or EmailElement using is for custom handling. You can enable parsing of only some link types using the linkTypes option. All are enabled by default. Full example can be found at example/lib/main.dart.